As a marketer, you are likely to be under pressure to gain marketing intelligence and data insights based on historical data, to evaluate which marketing campaigns are working, and which are not. collecting, and especially leveraging your data that’s important. With clever development of Microsoft Sql, we can create a marketing intelligence data warehouse to effectively store and interrogate your data for reporting and analysis. Then, utilising Excel Power Tools such as Power View and Power Pivot, our data insights consultants can to help you identify changes in customer behaviour to deliver immediate marketing intelligence. And, we can help you build analytical databases to drive lead scoring to improve sales conversion and nurturing of leads. The next frontier is Marketing Analytics, which can recommend changes to marketing practices based on future predicted customer behaviours. 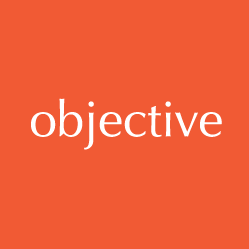 Objective IT has a great ability to provide tailored solutions to data and organisational problems from a concept or idea. How many and which customers are likely to churn in the next 12 months? Which contact segments should I focus my marketing campaigns on to encourage the highest conversion rate? Which customer groups will be the most profitable? When new contacts are established, what is the probability they will be hot leads? Our data scientists and analysts can work with you to apply marketing analytics to improve your marketing performance by predicting answers to such questions, and guiding your future decisions. Working together, we can help you to integrate and extend your expertise in data analysis for exponential results. Marketing analytics uses your past data to predict and improve your future marketing performance through data science techniques and state of the art computing tools; such as Microsoft Azure Machine Learning Studio and Microsoft R (Open and Server versions). These tools will determine the optimal way to adapt your marketing strategies to a constantly changing business landscape. Evaluate interest. Get real time information on opened emails and clicked links to determine click through rates. Reporting and Analysis. Dice, slice and drill data to predict business trends and create timely management reports. Harness the customer information you already have to get the full value of marketing intelligence reports. Data-based marketing is both an art and a science… but may not always include metrics. Marketers know that marketing metrics are needed when executives make and then evaluate strategic decisions to create or increase demand for the company’s products or services. Objective IT’s data insights consultants have the knowledge and expertise to integrate data quickly and precisely. We can capture data held in CRM systems and databases, and unstructured or semi-structured data, including the likes of email conversations, social media posts and video content. And our consultants and marketing experts will definitely be on your wavelength regarding how to manage marketing metrics – we’ll all speak the same language! Using latest Microsoft technologies such as SQL Server Analysis Services, SQL Reporting Services and SQL Server Data Warehouse our data insights consultants can help you mine and analyse complex data sets to provide marketing metrics, including measurement and return on marketing investment (ROMI).